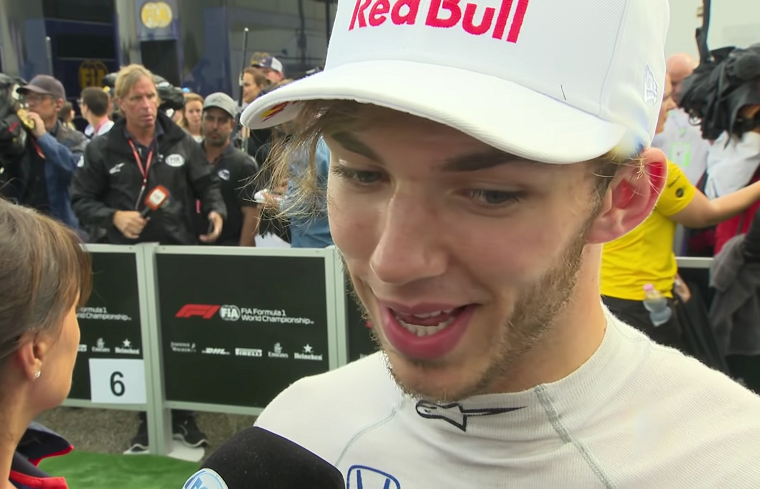 Formula One driver Pierre Gasly believes that the drivability of the 2018 Honda engine is better than that of the 2017-spec Renault engine he drove last year. Both Gasly and teammate Brendon Hartley qualified in the top 10 on the grid at the 2018 Hungarian Grand Prix, in mixed weather conditions, and though Hartley was forced to retire from the race, Gasly finished in an impressive sixth place, ahead of both Renault factory drivers and ahead of both McLarens, which ditched the Honda engines for Renault last year. He added that the power curve of the Honda engine made it easier to drive when you need to be “at the limit of traction,” such as during qualifying in Hungary. Meanwhile, Red Bull Racing’s Max Verstappen retired from yet another Renault engine failure. It’s been a tough year for both manufacturers, though there seems to be more optimism in Honda’s ability to deliver a high-performing engine than in Renault, which has had more time to do so and has continually disappointed nonetheless. Toyoharu Tanabe, Honda’s F1 technical director, says it is difficult to evaluate just how much of a role the engine played in Toro Rosso’s great performance in Hungary, but emphasized how important drivability was to the team. Gasly hopes that the good results in Hungary will motivate Honda and push them forward during the summer break, during which it can hopefully eek out even more performance from the engine. Pit Stop: What are the different types of tires?